I address protein in detail in my new book, Go Dairy Free: The Guide and Cookbook 2nd Edition. But I promised to cover dairy-free protein powders more in depth online. Here is that resource for you. Because the protein powder market is evolving so quickly, I thought this was a better topic to address on my website rather than in print. This post covers current FAQs and resources, followed by the types of dairy-free protein powders available. This guide to dairy-free protein powders does include images and links to products for your ease. Several of these links do include Amazon affiliate links. I was not paid to put this post together, so your support is appreciated. Commissions made via Amazon orders and book sales help us to keep this Go Dairy Free website alive! To get more information, tips, and over 250 recipes for dairy-free living, order a copy of my flagship book, Go Dairy Free: The Guide and Cookbook 2nd Edition. Protein powder isn’t a whole food, it’s a supplement. It’s created by extracting the protein from a food. A variety of processing methods might be employed, depending on the desired protein concentration and the type of food used. Some extraction methods are minimal, and might even qualify as “raw,” while others are more rigorous and employ chemicals. People often think of whey protein (from dairy), but as you will read in this post, protein can be extracted from almost any food. Do You Need Dairy-Free Protein Powder? To add nutrient balance to a smoothie, meal, or snack that is low in protein. To compensate for a dietary protein deficiency. To make a post-workout recovery snack or shake. To help meet protein needs on a liquid diet. To augment a high-protein diet. To encourage muscle mass with weight lifting or other athletics. These are not recommendations, just examples of why some people consume protein powders. Most of us get enough protein from our diets, even without dairy. But we might still lean on protein powders once in a while. That’s why I created this resource for dairy-free protein powders! The Recommended Dietary Allowance (RDA) for protein, is 0.36 grams per pound of body weight (or 0.8 grams per kilogram of body weight). This equates to 54 grams for a 150-pound person, and is the minimum amount the government recommends for the average person to stay healthy. However, this number increases if you are relatively active. And it can actually double if you are very active, working to maintain muscle mass as you age, or supporting weight loss efforts. Again, this is a good question to ask your doctor or dietitian since individual needs can differ. Do Dairy-Free Protein Powders Provide Complete Protein? A complete protein is a source of protein that contains an adequate proportion of all nine essential amino acids. Essential amino acids are amino acids that we must obtain from food – our bodies can’t produce them. But here’s the catch: you don’t need to consume all of the essential amino acids in every bite of food. Essential amino acids are separate building blocks that can fit into place whether they are consumed together or separately. Several dairy-free, paleo-type foods are complete proteins, including meat, fish, and eggs. But only a few plant-based foods are considered complete proteins on their own. Many plant-based foods contain all of the essential amino acids, but they might not contain sufficient amounts of one or more essential amino acid. This is why you might see mixed reports about what plant-based foods are complete proteins. Nonetheless, researchers say eating an adequate balance of essential amino acids from plant-based foods can do the trick. 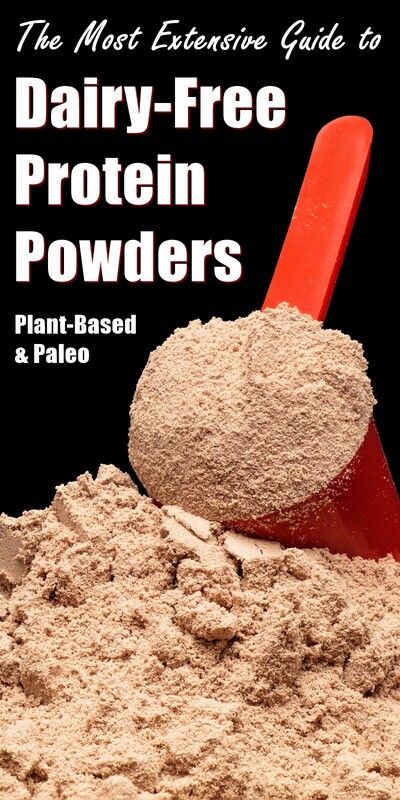 Many plant protein powder manufacturers actually produce plant protein blends to create a “complete” protein powder. Why are the Nutrition Facts on Protein Powders so Different? One simple answer is that serving and scoop sizes can vary widely. But extraction and concentration levels can also be different from brand to brand and product to product. As an example, Manitoba Harvest has two hemp protein powders that appear very similar. But the Hemp Pro 50 has 15 grams of protein and 7 grams of fiber per serving, while the Hemp Pro 70 has 20 grams of protein and no fiber per serving. The latter is further processed, and the fiber is removed, for a higher concentration of protein. What If I Don’t Like Dairy-Free Protein Powder? Tastes and textures of dairy-free protein powders are as different as the ingredients they are made from. And the extraction methods and added ingredients mentioned above can also have a huge effect on taste and texture. I’ll use the Manitoba Harvest example from the question above to elaborate. Again, both of their core protein powders are made simply from hemp seeds. But the more processed Hemp Pro 70 has a fairly refined, powdery consistency, while the “raw” Hemp Pro 50 is a bit sandier. The Hemp Pro 50 also has a more pronounced flavor that directly beckons to the taste of hemp seeds. The Hemp Pro 70 still has a distinctive taste, but it’s milder and might be more seamless to your taste buds. There are at least a dozen types of dairy-free protein powders on the market, and hundreds, if not thousands, of variations on these. In other words, your holy grail of dairy-free protein powders is probably out there somewhere. But you might have to blend quite a few smoothies to find it. How Much Dairy-Free Protein Powder Should I Use? One of the reasons many people don’t like protein powder is because they use the serving size listed on the package. Those servings are BIG. You might want all of that protein in one serving. But if you don’t need a wallop of protein all at once, tone that serving size way down. In terms of how much protein powder you might need, again, that is something to discuss with your physician or dietitian. But if we are talking about pure enjoyment, I typically use just 1 to 2 tablespoons of dairy-free protein powder in a smoothie or shake. This keeps it from overwhelming the taste and texture, but still aids in nutrient balance. Are Their Allergy-Friendly Protein Powders? To the best of my knowledge, all of the protein powders listed here are gluten-free in their pure form. Cross-contamination or added gluten ingredients are always a possibility, so contact the company if concerned. There have been concerns about gluten cross-contamination in hemp seed production, so I would use extra caution with hemp seed powder if dealing with celiac disease. All of the dairy-free protein powders listed here can be found in a pure, single-ingredient form. But you must read the ingredients to ensure that no other ingredients of concern have been added. And always contact the manufacturer to discuss ingredients and processes if potential cross-contamination with an allergen is a concern for you. I’ve included the big players, listed alphabetically, followed by some lesser known types of vegan protein powders that you might see. When soy was villainized, brown rice protein rose to fame. It tends to be one of the grittier options, but still has a very loyal following. If you tend to be sensitive to bitterness, then brown rice protein might not be your favorite. Like most grains, it has an underlying bitterness that can become more pronounced in concentrated protein powder. But the bitterness can be overidden in sweeter applications. I’ve used it with success in my Instant Sweetened Condensed Mylk Recipe in Go Dairy Free: The Guide and Cookbook 2nd Edition. In the past, brown rice protein involved more chemical-based extractions. But there has been a rise in “sprouted” brown rice protein, which promises healthier, safer, chemical-free extraction methods. These also boast better digestibility from the sprouting. The oil is removed from shelled hemp seeds, and the remaining solid is powdered to make hemp protein powder. This results in a moderate protein level with a good amount of fiber. And it still retains a “healthy ratio” of Omega oils. Hemp protein tends to have a grassy taste, and less processed versions can be a bit sandy in texture. For this reason, many manufacturers use hemp protein in blends rather than on its own. But you can still purchase straight up hemp protein for use at home. There has been a huge surge in the use and availability of pea protein. This is the primary plant-based protein that I used for testing in Go Dairy Free: The Guide and Cookbook 2nd Edition. It was my tester for the Pineapple Coconut Protein Bites, Pumpkin Pie Protein Shake, and the protein options for the Just Peachy Power Smoothie and Chocolate Frostee. 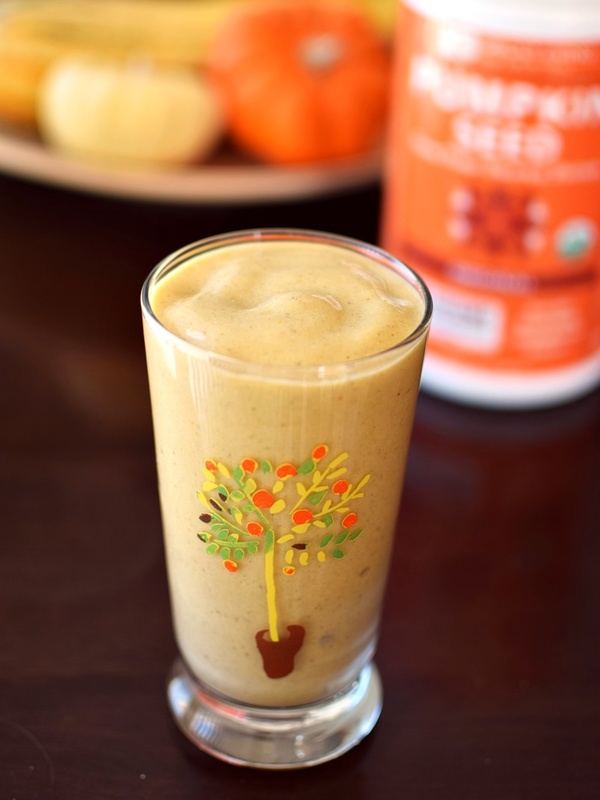 I like that pea protein thickens tremendously and creates a very creamy finish. Most brands tend to be relatively smooth, rather than gritty. And the underlying taste doesn’t have the same bitterness that many vegan protein powders do. There are many reasons why soy was the original darling of the dairy-free industry. One is that it is one of the few plant-based complete proteins. It has actually been rated as equivalent to animal protein by researchers. However, soy protein concentrates and isolates have been battered in the news. The studies and reports are conflicting, so I’ve addressed soy more thoroughly in this post: Is Soy Healthy? Several of these have been used as product ingredients in manufacturing for years. But they are slowly emerging on their own in the consumer market. These are complete proteins that are gaining popularity thanks to the paleo movement. You might see collagen peptides, gelatin, gelatin protein, or even bone broth protein. But all of these powders are based on collagen protein. They often contain different types and ratios of collagen and might boast other nutrition benefits. Collagen is the most abundant protein in our bodies. It is found in our muscles, bones, skin, blood vessels, digestive system and tendons. It helps to support strength and elasticity, but collagen production does decline as we age. Which is why you will see collagen in so many supplements and skincare products. It’s said that their are at least 16 different types of collagen in our bodies. But types 1, 2, and 3 are the most abundant, and thus the ones that most products focus on. Collagen protein tends to dissolve very well, and is quite smooth. It’s slightly gelatinous and does help to thicken smoothies or other recipes. 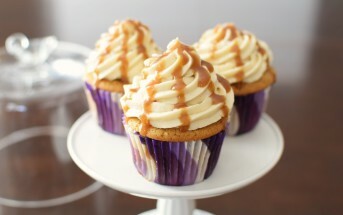 It’s also relatively flavorless, but this can depend on the brand, added ingredients, and source. Pure egg white protein is literally powdered egg whites. It therefore works like a dream in baked recipes. And it tends to be more seamless in taste and texture than most plant-based protein powders. It is suitable for vegetarians, but not for strict vegans. Although egg white protein powder should be pasteurized, some recommend sticking to cooked or baked applications. But you can check with the manufacturer, and do what is best for you. If possible, look for egg white protein powder that is certified organic. This means that the eggs were raised without antibiotics. Any statements to the effect of “raised without growth hormones” are irrelevant. Farmers are not permitted to use growth hormones on chickens at all. By the time I finish writing this, there will probably be even more types of dairy-free protein powders available. If I’ve missed any, if any of this information becomes outdated, or you just want to share your favorite type or brand, kindly comment below. This post was written for informational purposes only. These are not personal recommendations, and this is not medical advice. Always consult a medical professional before making any change in your diet. To the best of my knowledge, all of the brands linked to above are dairy-free by ingredients. It is based on the product ingredients and “contains” statements. It is not based on “may contain” type statements, since those are voluntary and unreliable. These are not personal recommendations, and you must still do your own due diligence to ensure the products are safe for your needs before purchasing. If you are dealing with a severe food allergy, always contact the company to discuss ingredients and manufacturing processes before consumption. Ingredients and processes are subject to change at any time. Great article! Thanks for sharing this very detailed post about dairy-free protein powders. I haven’t used it before though but will take into consideration the lists of protein powders you listed here when the need arises. Learn exactly how much protein do you as per your activity level. I have searched the web for answers on whether some of these lose their nutrients if heated. For instance, brown rice protein powder baked into muffins. Any suggestions on this? Thank you! If you’re talking about nutrients specifically, heating does not destroy the protein, carbohydrates or fats. It can destroy some of the micro-nutrients (some of the vitamins and a lesser amount of the minerals), and it can destroy probiotics unless the protein powder uses a heat-stable type of probiotics. This is such a great resource for those who need dairy free protein powders! Thanks for putting this list together! This is so informative! We’e been trying to switch to a dairy-free protein powder. Great, I hope it helps Joanna! My favorite vegan, plant based protein powder that can also serve as a meal replacement is Ka’Chava. I prefer everything chocolate so that is the only flavor I have tried. I mix it with an Almond Cashew nut milk blend and it is the creamiest protein shake I have ever had, vegan or otherwise. Seriously, it can rival a chocolate milkshake. When I am feeling particularly decadent, I add a scoop or two of PR powder. Yummy.